Most of us have read or heard this quote before—or some version of it— as it speaks to our desire to be active in our learning. 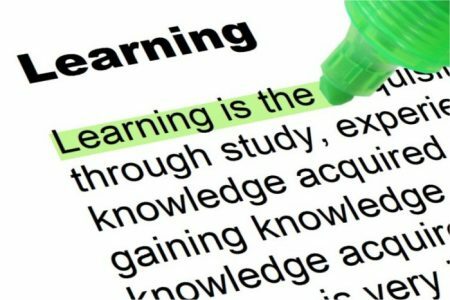 As professionals, learning leads to new experiences and our experiences lead to new learning. 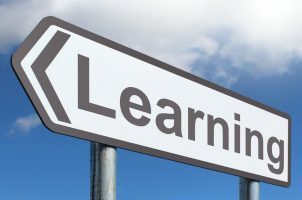 This cycle of experiential learning (EL) is critical for adults to grow professionally and personally and is an ideal approach in designing training and development programs for “soft” skills such as communication. Numerous studies show that employers—both public and private sector—believe that communication competencies are not only critical for the organization, but an area in need of improvement for most employees. Employers desire new and experienced employees to enhance their listening, public speaking, team participation, written and other communication skills. Therefore, government organizations, professional associations and educational institutions need to ensure they are providing training and development opportunities to meet the communication competency needs for public managers. Integrating EL approaches into these opportunities can result in the successful development and enhancement of these skills. Communication skills are of particular importance to municipal managers as they face distinctive challenges that require practicing communication through a variety of means with diverse groups. Financial demands, shared services between municipalities, complex vendor agreements, facilitating community engagement and managing a diverse workforce puts unique pressures on local leaders to communicate effectively. Jennifer Brill, M.J. Bishop & Andrew Walker; James Garnett and Alexander Kouzmin; and Brent D. Ruben note that managers need to build a distinct set of communication competencies including credibility, influence, listening, interpersonal orientation, public speaking, intercultural orientation, role modeling, writing, information technology application and networking. However, oftentimes the priority for training opportunities may be placed on the development of supervisory skills, local service management, community building strategies, planning or the enactment of new laws. Yet, the critical skill that transcends all of these areas is communication. Before managers engage in a learning experience, it should be determined that training is appropriate. Individuals should participate in communications training only if they are aware of the expectations for demonstrating specific communication competencies and if there is a need to develop or enhance a specific skill. Training will not fix disciplinary or larger organizational issues. Training needs to focus on the acquisition of knowledge and skills necessary for local managers to perform effectively in their organizations and the surrounding community. Relying on EL where individuals engage in, reflect on and make meaning of their experiences generates significant opportunities for them to improve their communication competencies. Tennant and Pogson describe four ways experiences can be integrated in learning encounters: prior experience, current experience, creating new experiences and learning from experience. Following are some examples of how EL can be integrated into regular activities. Onboarding: For a new employee, concentrating on the current experience she can apply communication skills to the new position. For example, focusing on IT skills she can actively learn the new system reflecting upon how it might be similar to those used in her personal life. She may also earn from experience by receiving feedback on her interpersonal skills as they are used to fulfill duties. Performance Feedback: Performance reviews are a ripe opportunity for an employee to reflect upon prior experiences and to learn from new ones. During a feedback session, he can engage in critical examination of prior communication experiences. For instance, he may receive feedback on listening skills when addressing concerns from department heads and be given an example of a specific meeting where the skill was not demonstrated well. This reflection can help him identify areas of improvement. Professional Development Programs: Workshops, certificate programs and conferences are common ways for managers to develop competencies. Creating new experiences through simulations, role playing, or case studies provide a base for new learning to occur. A role-play focusing on cross-cultural communication or giving feedback provides an opportunity to learn and apply a new skill. An experience that is meaningful to the manager and has the potential to change her level of communication competency. The experience must be followed by critical thought and reflection about the experience and how it affects previous understanding. Creating opportunities where local government managers can reflect upon on their communication experiences in the work setting can improve both the manager’s and the organization’s performance. Using an EL approach will far exceed the results gained training programs based on pure lecture or viewing online content. Additionally, EL opportunities provide public managers the occasion to learn from and interact with others through feedback and sharing. For at the heart of professional development opportunities is the freedom to engage in, reflect, and make meaning from work experiences.